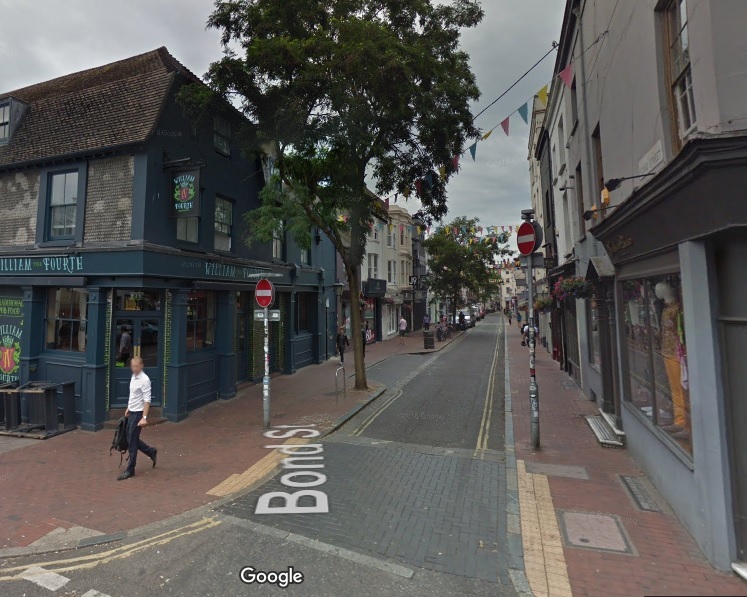 Police today launched an appeal for seeking witnesses to an assault which occurred in Bond Street, Brighton, shortly after 5am on 28 September. Officers are particularly keen to hear from two passers-by who appear to have witnessed the assault – one was wearing a hi-vis jacket and a hard hat, and the other was a young man wearing a black and white puffa jacket or anorak. The victim, a 20-year-old local man, sustained serious facial injuries. A 21-year-old man from Brighton, arrested on suspicion of assault, has been released under investigation pending further enquiries. Anyone with any information is asked to report it online or call 101 quoting serial 163 of 28/09.